Serving some of the finest Fish & Chips to the people of Carlisle from our city centre Restaurant & Takeaway (just opposite Sports Direct) and now also from our recently opened new Takeaway outlet on Newtown road (just opposite Carlisle Infirmary). Our family have been cooking the nations favourite dish nearly 40 years. We believe that consistency is the key to success which is why we prepare the finest, freshest produce ready to be cooked and served with the finesse that it deserves. We cook all our food in 100% no trans fat vegetable oil which is filtered every morning before cooking to give that clean crisp taste. 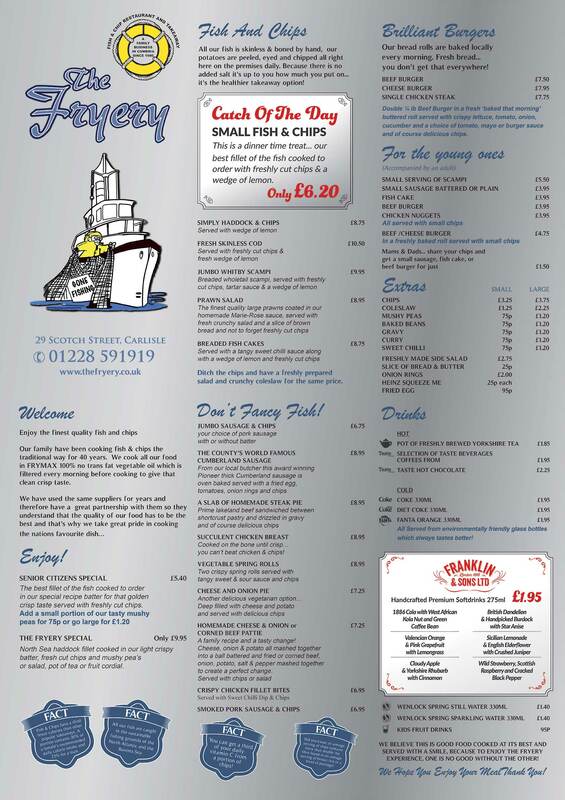 We have used the same suppliers for years helping us to build a great partnership, they understand the quality of our food has to be the best enabling us to deliver the tastiest Fish & Chips for our customers time after time. 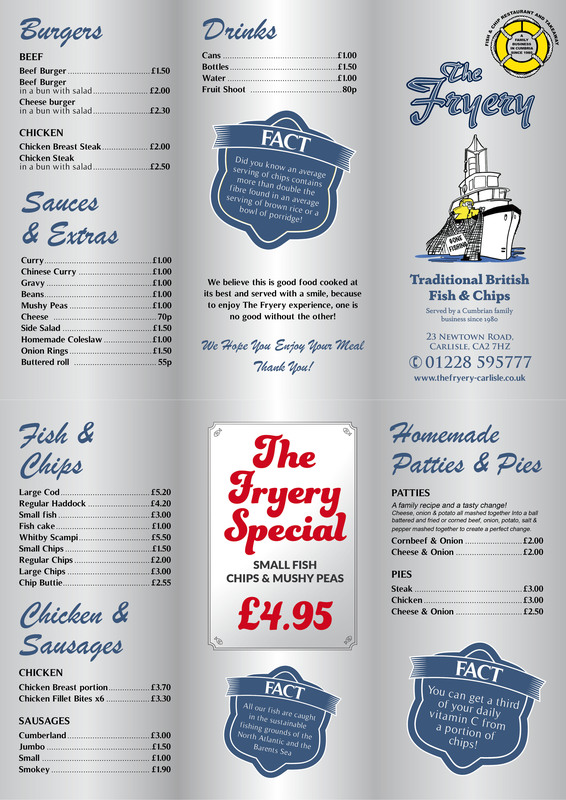 So why not come in and enjoy fish & chips fried to perfection the traditional way.